Please find below classifieds in category Clothing for sale, accessories category in Newark. Please use the form above to refine your search in Clothing for sale, accessories in Newark. If you can not find what you need in Newark please add your wanted ad to let sellers contact you. If you want to keep your contact info confidential enter only your email address so you will receive offers into your account in our system. You can click Post a classified ad link below or the button Post classified for FREE in top right corner of this page to post your classified ad in category Clothing for sale, accessories in Newark. It is fast, easy and free to post an ad in FREEADSinUS.com. It will take you just few minutes to have the ad available on our listings. You can edit your ads any time by clicking “Edit my ads" button on top right corner of this page. Discover the hottest styles for the season from our collection of bikinis like swimsuits for women, high waisted bikini, bathing suits for women and more for women’s. Get fashionable protection from the sunlight with our women’s swimwear cover-ups. To get more information visit here: - https://swimsale. Get the Best Deal for Swimsuits for Big Busts on Swimsale.com. Get the best deal for swimsuits for big busts, designer bathing suits, bathing suits for body types and more on swimsale.com. We also provide Your Personal Swimwear Stylist Service Completely Tailored to Your Taste, Style and Lifestyle to Help You Look & Feel Your Best in a Swimsuit & bikinis. For more details you can visit here: -https://swimsale. BOS COV'S Department Store Address: 6001 Voorhees Town Center Voorhees NJ 08043 Phone: 856-772-6400 Shop a full range of brand-name merchandise, from fashion and shoes to patio furniture, jewelry, home goods and more. Stop in to our family-owned retail desitination today, where the buys. 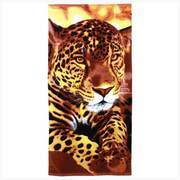 Sun yourself on this sumptuous towel and watch your friends purr with envy! Cloud-soft terry cloth shows its wild side with a fabulously fun cheetah fur print. 100% cotton. Machine wash warm; tumble dry low. 30" x 60" long. 30% discount on every item. Get more info here http://www.haquegiftshop. This is classifieds listing page in category Clothing for sale, accessories in Newark. The listings include ads for sale and wanted ads posted in Newark location on our site or sourced from Oodle.com from categories related to Clothing for sale, accessories. If you posted an ad on this page before please click "Edit my ads" button to sign in your account and edit your classified ads, check the requests sent to you from your ads contact forms or check the offers sent to your wanted offers. Clothing for sale, accessories Newark classifieds, Newark ads, Newark classified ads, garage sale Newark. Find here ads for sale, to buy and rent in Newark. Goods for sale in Newark, vehicles for sale in Newark, Newark real estate for sale, Newark property for sale, property for rent in Newark, business ads in Newark, Newark business classifieds, services in Newark, Newark services ads, jobs in Newark, pets for sale in Newark, Newark dating, Newark cars for sale.